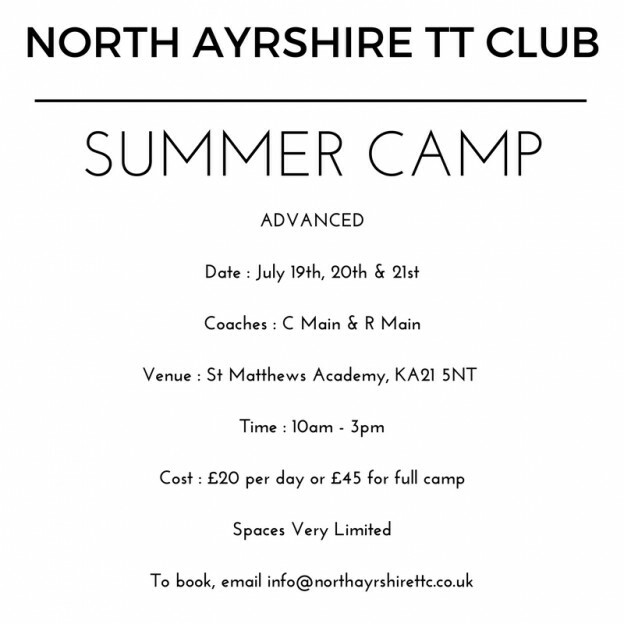 North Ayrshire TT Summer Camp will be running from Monday 17th July to Friday 21s July at St Matthews Academy, Saltcoats and we welcome members of our club and players from other clubs to book their place. Advanced : Wednesday, Thursday, Friday 10am – 3pm. Spaces very limited, with discounted price for attending the full camp. To book a place, contact us via email, facebook or telephone.